The country, including North Carolina, is facing a shortage of healthcare professionals. There’s an immediate need for nurse aides, and demands will increase according to the Department of Labor. In Raleigh, entry-level CNAs earn $22,201 per year. Experienced CNAs with in-demand skills can earn up to $32,839 per year in addition to health benefits and stipends for continuing education. Persons with a criminal record should not pursue this career path as it may be difficult to find employment after completing the program. Some schools require students to provide proof of immunizations during the application process. CNA candidates must complete a state-approved Nurse Aide I training program that’s 75 hours or longer before challenging the state certification exam. Below are a few of the top state-approved schools in Raleigh, NC. The Nurse Aide I training at Wake Tech teach students basic nursing skills needed in a healthcare setting. The 4-week state-approved program follows all the guidelines set forth by the NC Division of Health. Topics include patients’ rights, communication, mental health, personal care, elimination, nutrition, vital signs, safety, first aid, emergency, and rehabilitation. 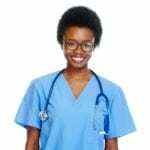 Graduates all demonstrate the skills necessary to function as nurses’ assistants and are eligible to take the two-part state competency exam. Wake Tech is an approved testing facility so students can take the test in a familiar environment with the option to take the test in Spanish. All prospective students must complete the school’s online orientation before submitting an application to the program. Wake Tech’s partnership with Capital Area Workforce provides financial assistance to some students. The Nurse Aide 1 training program at Care One helps students become proficient at taking patients’ vital signs, provide personal and rehabilitative care, respond to emergencies using approved procedures, and meet patients’ mental health and social needs. Graduates of the program are fully prepared with knowledge and skills to pass the state competency exam and succeed on the job. Students in the daytime classes complete the course in four weeks while evening and weekend students finish in seven weeks. Tuition is $675 inclusive of books and registration fee. Students are responsible for uniforms and the state competency exam fee, which is $101. Miller-Motte College in Raleigh offers Nurse Aide 1 training. The program utilizes traditional classroom lectures and hands-on clinical experience for students to practice what they learned. Topics include basic medical terminology, patients’ rights, nutrition, feeding, personal care, communication, observation, charting, vital signs, mental and social support, emergency and first aid. Graduates are eligible to take the state evaluation. Financial aid is available through various grants, loans and scholarships. MMC provides job placement assistance to all successful graduates. The CNA I program at Providence takes three weeks to complete. Students spend the first two weeks in the classroom and the final week at a skilled nursing facility to put their training into practice. After obtaining certification as a Nurse Aide I, students can enroll in the CNA II training program, which teaches advanced skills like suctioning, wound care, oxygen therapy, trach care among others. PTI promises small teacher to student ratio, comfortable environment and flexible payment plans. Tuition is $550 for CNA I plus $25 registration fee. Tuition does not include supplies and textbooks. However, the school loans textbooks while class is in session. The nursing assistant curriculum at Guiding Lights Caregiver Support Center complies with the North Carolina State DHSR model. The training includes classroom lectures, demonstrations, hands-on practice in the lab, and supervised patient care experiences. Experienced instructors encourage participation and innovative and interactive classes to make the experience enjoyable and educational for all students. Classes run for approximately 5 weeks – subject to change. Students meet in the classroom Mondays, Wednesdays, and Thursdays from 8:00 am to 4:00 pm. The clinical experience takes place during the fifth week of class. Clinical times are Monday through Friday from 8:00 am to 4:00 pm.